Lentils are edible pulses or seeds that belong to the legume family. Lentils are one of the oldest known sources of food, dating back more than 9,000 years. These can be pale or mottled green-brown in colour with a glossy exterior. They have a robust, somewhat peppery flavour. 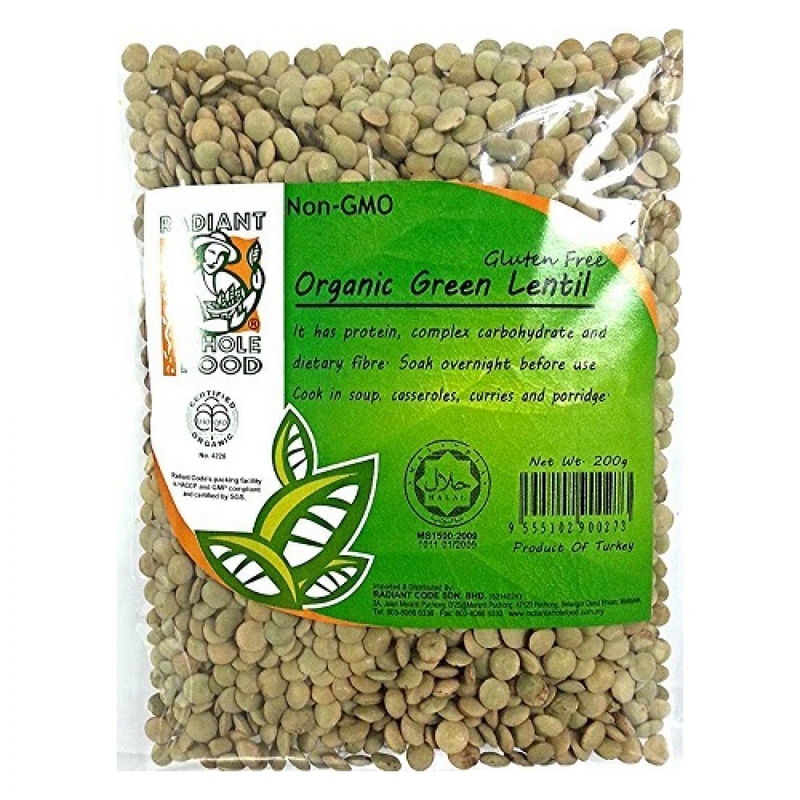 Green lentils generally take the longest to cook, upwards of 45 minutes, but they keep a firm texture even after cooking. This makes them ideal for salads and other side dishes. Cardiovascular benefits – High content of soluble fiber and a great source of folate & magnesium, are big contributors to heart health. Stabilizes blood sugar levels – Adding to the many benefits of fiber, it also helps to stabilize blood sugar levels. Bone health benefits with good source of protein and vitamin K.
Great source of fiber – Can help keep you regular.